Hey guys, welcome back to season 6 episode 5! On today's episode, we have Tracey McLeod back to talk about color psychology and how to leverage that in staging your home for sale, and even picking the right colors for you to live in the home. We are in the process of selling everything in the warehouse. 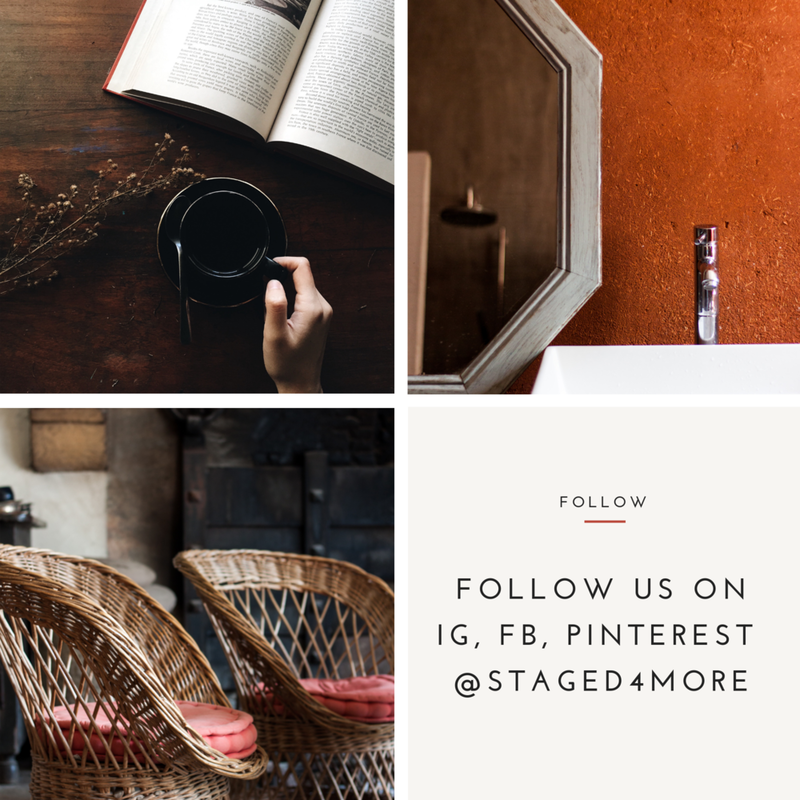 If you are in the bay area and would like to buy some furniture and home goods, go to staged4more.com/sale. Our signature course, the 6-Figure Floor Plan is designed to be a business in a box, where I help you take out the kinks and guesswork out of building a profitable home staging business. We have one module a week for 6 weeks, you will also have opportunities to ask questions and get support in our weekly office hours and private community. You can also upgrade the program by adding on a coaching package where you will have additional support for your business after our course finishes. In this jam-packed online course, we'll go over systems, contracts, pricing, proposals, inventory, marketing, technology and everything you'll need to start getting clients. I’m going to show you the behind the scenes of how I had built my home staging business from the ground up, including worksheets, systems, scripts and workflow that I’ve developed to build a booked solid home staging business. You will be able to see my pricing proposal, contracts and basically every template I’ve created and used in my 6-figure home staging business. This podcast is also brought to you by our Cash in the Cushions business courses for home stagers. If you are thinking about getting into the home staging business and not sure where to start, our Launcher program is designed for those who are thinking about venturing into the home staging industry. 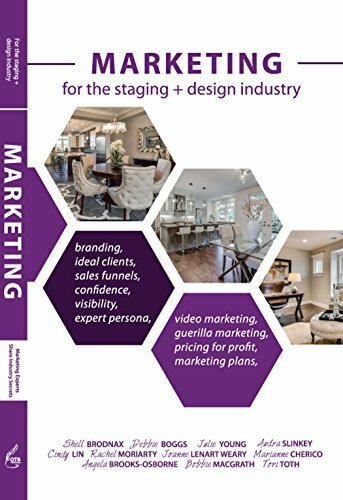 This 90-page workbook clarifies frequently asked questions about starting a home staging business, helps you navigate the waters of the marketplace so you can avoid the common slip-ups. I developed the 6 Figure Floor Plan course to be a complete course to build a profitable home staging business. I was tired of seeing new home stagers left high and dry by these other courses that are really expensive and still not prepare the students for real life staging business problems. Because of this podcast and the blog I write about on the business of home staging, I get asked the same basic questions over and over again that should already be covered by these expensive courses. SO! In this jam-packed online course for home stagers, we'll go over systems, contracts, pricing, proposals, inventory, marketing, technology and everything you'll need to start getting clients. I’m going to show you the behind the scenes of how I had built my home staging business from the ground up, including worksheets, systems, scripts and workflow that I’ve developed to build a booked solid home staging business. You will be able to see my pricing proposal, contracts and every template I’ve created and used in my 6-figure home staging business. Tracey McLeod is an internationally recognised Australian Home Stager, Founder of Presentation Sells and former President of the Queensland Interior Decorators Association (QIDA). Drawing on her extensive experience in interior decorating, home staging and property styling, Tracey has helped hundreds of home sellers maximise their sale price from $20,000 extra on occupied home styling, and up to $360,000 for vacant home presentation across her local areas of Brisbane and on Australia’s Gold Coast. As a leading advocate for home presentation, staging for sale and colour psychology, Tracey is often called on for commentary in the media, and has been featured in The Huffington Post, various News Limited publications, and Radio 4BC's Real Estate Talk, among others. Known for her high energy, engaging style and generous approach to sharing her knowledge, Tracey is also a highly sought after speaker who inspires both national and international audiences and opens their eyes to the power that colour and design have in their lives and homes. Tracey was also awarded the Housing Industry Association (HIA) Gold Coast/Northern Rivers Property Stylist of the Year for the second year running, Best of Houzz Service Award for four year in a row, and Runner Up in the 2016 Real Estate Staging Association® (RESA) Vacant Home Stager of The Year International. Co-authoring an international home staging coffee table book. My topic is Colour Psychology for homes for sale. Due out mid-year. Starting a webinar series for home sellers based on the eCLASS System.